I have moved four times in four years and I have to say Sennetts made this move the easiest. The guys were professional, quick and no damage was caused which to me is all you can ask. My next move will defiantly be done through Sennetts. Very happy with the service. Staff will bend over backwards to help in any scenario! Kind, friendly & reliable too! Storing with them for over 6 months & not a problem, n fact they've gone out of there way to help me on numerous occasions when I've needed them! Excellent job from start to finish. Answered all communication quickly and without issue. Carl came over to Fife so he could give a full quote and it was very reasonable. On the day the guys did a great job, working a really long day to make sure it didn't run into a 2nd day. Highly recommend them. From my first contact with Carl at Sennetts and various conversations with Angela at the office I was very happy with the service provided. 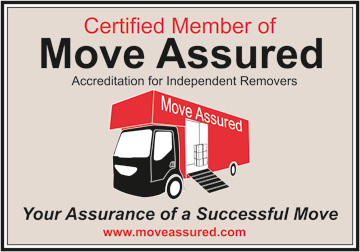 The removals and storage was great and the guys doing the job couldn't have been more helpful. Would highly recommend. Our move went really smoothly thanks to Sennetts removals - thanks so much for taking the stress out of moving.